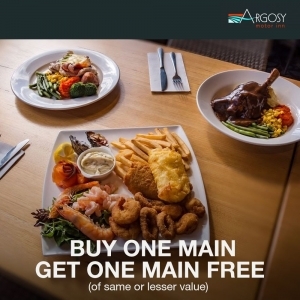 Buy One Main Meal - Get One Main Meal Free (of same or lesser value). 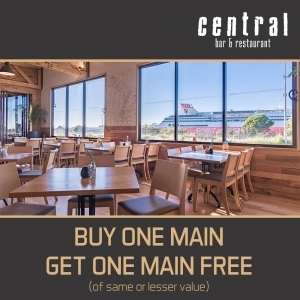 Present voucher code at venue to claim. 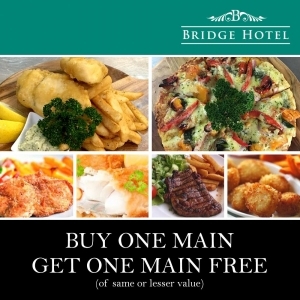 The Bridge Hotel is open 7 days a week for Breakfast, Lunch and Dinner. Offering both quality a la carte restaurant dining, and country style counter meals, you can be sure to get your fill at The Bridge Hotel! 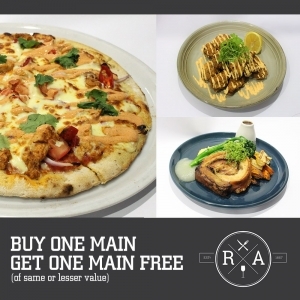 Dine at one of the tables, in a private booth, or even at the bar.